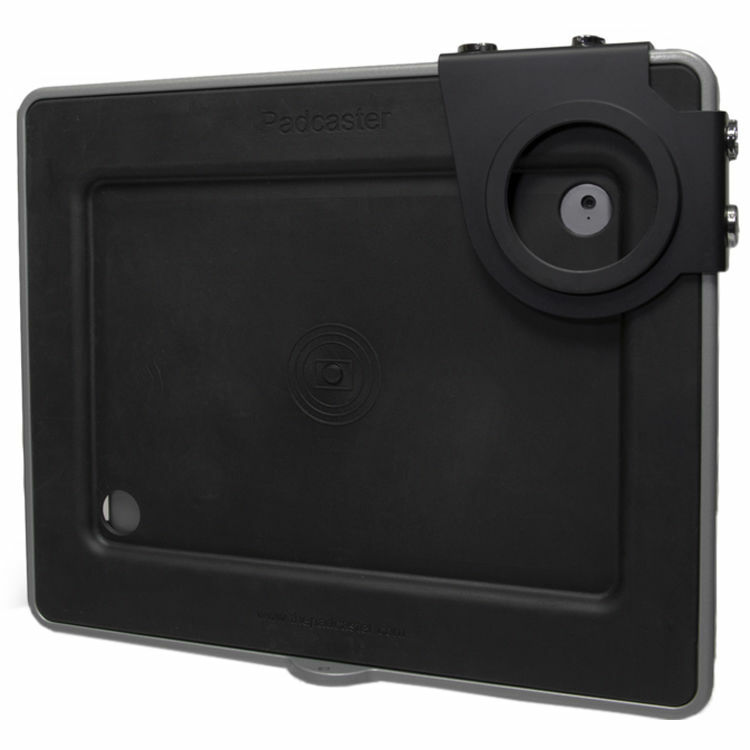 Padcaster Case for iPad Pro 11"
iPad Pro 10.5" iPad Pro 11" iPad Pro 9.7"
The Padcaster Case is designed to allow you to improve the quality of video shot using an iPad Pro 11". The lightweight, brushed aluminum frame has 1/4"-20 and 3/8"-16 threaded holes around the edges for attaching external microphones, lights, and other accessories. This allows for greater creative control over filming. The Padcaster Case can also be attached to a tripod, monopod, or shoulder mount using the tripod thread and locking-pin hole. By removing the insert, you can use the frame as a DSLR cage for added versatility. The lens bracket has a built-in 72mm thread and a 72-58mm step-down ring that allows you to attach lenses with rear threads of 72mm or 58mm. A cold shoe adapter for accessories like LED lights and microphones is also included, as well as a special camera mount screw that allows you to use the frame as a DSLR cage. Urethane insert allows a snug fit for an iPad Pro 11"
Box Dimensions (LxWxH) 12.8 x 10.8 x 1.1"